(Note: this is part 13 of a series called “Quantum Life,” in which I post the contents of a strange ‘guide book’ I found for a game called “Quantum Life.” It is in English, which the book calls a “Quantum Life language,” unable to capture all the complexities of the world as it really is. Most importantly, “true reality” according to the book is outside space-time, something our language cannot express. I’m not sure where this book came from – this finishes the section on suffering). Perhaps the best way to explain how this works is to look at one event in one of the probable lines of the game. 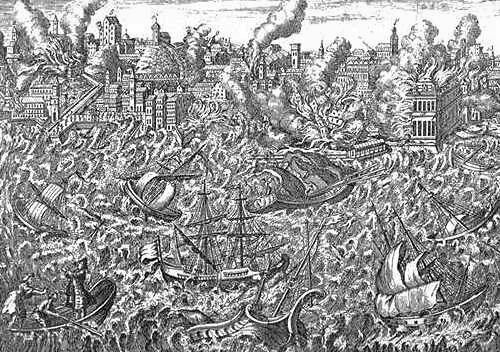 In many time lines, November 1, 1755 was a tremendously horrible day for the city of Lisbon, Portugal. An unexpected earthquake killed 84,246 people (the total varies among the various time lines – the number here reflects the time line in which this handbook is currently located). It should be noted that players enter the game with a sense of what the game has in store for them; tragedies and chance encounters are often planned out – though once in the game choices can alter the best laid plans. In this case, those living in Lisbon knew they would be part of a horrific event. Players were drawn there in part for the drama – to experience what it is like to perish in a major earthquake, with the inner knowledge that it’s just a game. For others this played a part in personal lessons, and others choose it as part of a larger cultural or “group” symbol. It may seem odd to think of a tragedy as a symbol, but this one was. 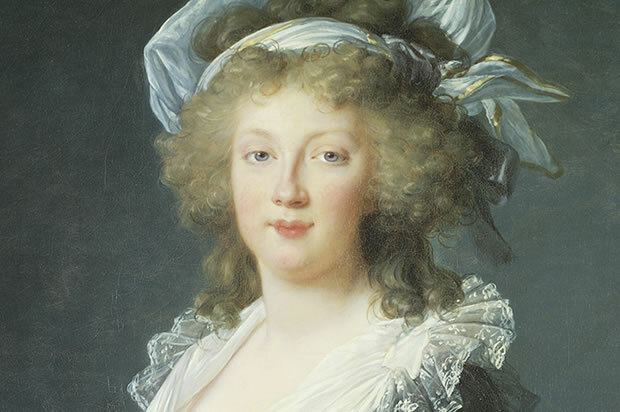 When it hit, the Empress of the Austrian Empire, Maria Theresa, was in labor, ready to give birth on November 2nd to her daughter Marie Antoinette. Her daughter would in time be married to the future King of France, and later executed by guillotine at the time of the French revolution. That revolution would mark a dramatic change in the culture of that particular time line, touching all lives on the planet. The earthquake symbolized the power of that change. Yet it played a greater role. French enlightenment thinkers Jean Jacques Rousseau and Voltaire each saw it is symbolic of the nature of reality. For Rousseau, who believed in a God which expressed itself in nature, it was a sign that it was unnatural to live in cities. Rousseau was born with a strong sense of the inner unity – it was not cut off as much as in most – and interpreted it as being from a deity that was perfect and loving. That deity would not cause suffering; so the people were to blame. 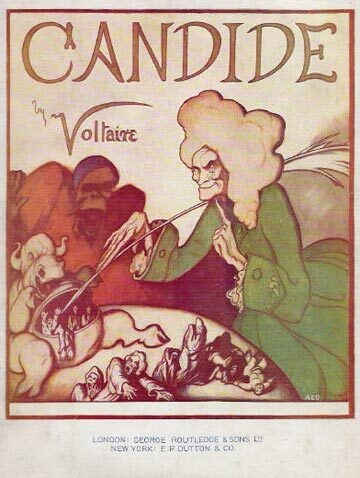 Voltaire, who had chosen a series of personal tragedies designed to put him in cynical frame of mind at the time of the quake, was horrified. He visited Lisbon and saw the suffering, and could not believe that any loving God would allow this. He wrote the book Candide which concluded that while God must have created the world, there was no sign that God cares for its creation. God doesn’t need love from humans, humans need love from humans. This would become secular humanism and part of the then growing enlightenment. From that time on, a massive shift started for the entire planet, leading to major events and transformations. It represents the beginning of an extremely exciting and dramatic phase of the game. What does this show? First, tragedies and “acts of God” are not random, nor are they bad. Only in that moment do they seem horrific, and that’s part of the experience. They are always symbolic, and reflect the energy from the unity of all expressed within the quantum life environment. Only when separated from their context does it appear these are random tragedies. Mass murders and genocides are also symbolic, and part of larger ideas being played out by groups of players. Always, these are symbolic expressions that sophisticated players can understand if they see them as such. The same is true with death and disease. All players leave Quantum Life at some point, there is nothing inherently better by playing longer in one given life time. Someone can have value in a life ending at age 14 that goes beyond what another player might experience in 80 years. A person who dies naturally at 97 may have died as a small child in an accident the life “before.” Every death has symbolic meaning in how and when it happens, and wide spread events like epidemics also have broader cultural symbolic value. Players know deep down when this is occurring and the pain and suffering is less than that discussed in part 1, where the cause comes from player choices rather than deep symbolism emerging from the unity of all as it gets expressed in the game environment. Again, the language of space-time makes this very difficult to translate, but no player is truly disconnected, and thus inevitably energy from the unity of all gets expressed creatively in the game. The physical suffering is real, but a necessary part of the experience. Some players in fact become addicted to dramatic and painful deaths that others need to help them move on. Immersion back into the unity of all after a life ends quickly leads the players to recognize the power of what they experienced and learn. Almost always, they eagerly choose to play again. This entry was posted on August 16, 2015, 20:05 and is filed under Uncategorized. You can follow any responses to this entry through RSS 2.0. You can leave a response, or trackback from your own site.